The International Telecommunications Union (ITU) will next week discuss changes to satellite constellation regulation and fees, an effort needed to keep space useful for communications. 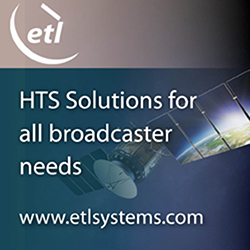 The ITU currently charges flat fees when called upon to consider how to accommodate a satellite's communications needs, a scheme developed [at] a time when geostationary orbits dominated the satellite business. As a bird in such an orbit hovers over one spot on Earth, it's relatively easy to assess its requirements. Manages procedures for space-related ITU assignment or allotment plans for launching of satellites. Today, however, governments and entrepreneurs have considered satellite fleets comprising dozens or even dozens or hundreds of birds, in all sorts of orbits. The work required to plan for such satellites' operations has therefore become very complex indeed. The ITU started to plan for more complex operations last year, producing a plan shortly before Christmas 2017. Base additional fees on EPFD (equivalent power-flux density) computations. Next week, the report will be considered by the ITU's Council Working Group on Financial and Human Resources on Thursday, and after that, by the Radio Regulations Board and ITU-R Working Parties in March.